Celebrities partnering with high-end products is not a new phenomenon. Everywhere you go, you’ll see actors with perfumes, makeup lines, and even their own booze. Even if your favorite entertainer doesn’t make the product themselves, their name or endorsement can often justify a purchase. After all, aren’t you curious to taste a wine from Dave Matthews or have a shot of gin with Ryan Reynolds? We prefer a nice glass of whiskey, so let’s start off by listing our favorite celebrity-backed bourbons and whiskey brands. 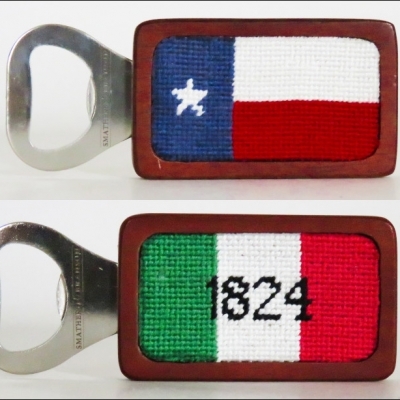 Collect them all for a few good conversation starters at your next shindig! Let’s start the list off with the newest celebrity-backed whiskey to enter the arena. Famed UFC fighter Conor McGregor recently paired with one of the oldest whiskey distilleries in Ireland to create a whiskey that is, apparently, not one that everyone will be grabbing off the shelf any time soon. At least that’s what the team at Business Insider said after they gave it a try. It’s worth a shot if you’re a UFC fan (at least maybe a shot with a mixer,) but it’s apparently not one that you’d buy on quality alone. Who wouldn’t want to sip on a nice glass of whiskey with Matthew McConaughey? The actor has been working with Wild Turkey for quite a few years now, and through this partnership he developed Longbranch Whiskey as a personal project. Longbranch Whiskey is technically a Kentucky bourbon, but because McConaughey is involved, you know there’s a hint of Texas. Longbranch is a bourbon steeped in charcoal made with mesquite wood straight from the Lone Star State. The result is a smoky taste that critics are saying is more than you’d expect from a celebrity partnership. When you hear McConaughey talk about whiskey, you know he has a passion for the drink, and that passion seems to be reflected in the quality of his booze. If you enjoy supporting a more classic celebrity, you might fancy Bob Dylan’s whiskey brand. Heaven’s Door was launched last year and has a Tennessee bourbon, double barrel whiskey, and rye whiskey available. (Don’t know the difference between whiskey, bourbon, rye, and other similar drinks? We’ve got you covered.) The booze certainly makes a great gift for the Dylan fans in your family, but the future of the brand is unclear. A Kentucky bourbon brand called Heaven Hill filed a copyright infringement lawsuit against Heaven’s Door last month. While we’re talking about Heaven Hill, we have to mention the whiskey they created with Willie Nelson. It’s called Old River Whiskey, giving a slight nod to one of Nelson’s most famous tunes. 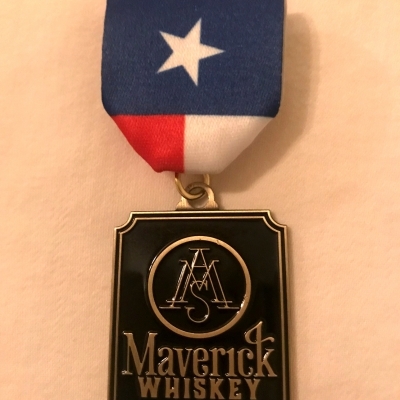 The small batch bourbon was aged for six years and was sold with an autographed guitar pick from the Texas legend himself. You can’t just grab a bottle at your local liquor store, but a few bottles (and a few empty bottles) are available for auction if you’re a true fan of Willie. If you want to get your hip 21-year old siblings or nieces into whiskey for some reason, we have an idea. Drake partnered with Brent Hocking (of DeLeón Tequila) to develop Virginia Black Whiskey. The booze is known to be a good starter whiskey and goes down quite smooth. 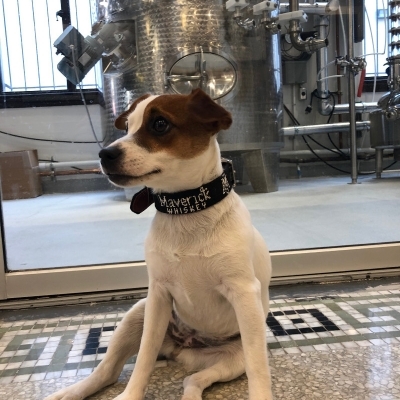 It’s popularity is taking the whiskey places; earlier this year, the rapper announced that he would be taking the company public. He hopes to raise $30 million from investors and offer shares through crowdfunding. The blue bottle of Haig Club is appealing enough, but when you find out that David Beckham is involved in making each bottle, it’s no wonder the whiskey flies off the shelves. Okay, Samuel Maverick is not a famous actor or musician. He’s not even alive. 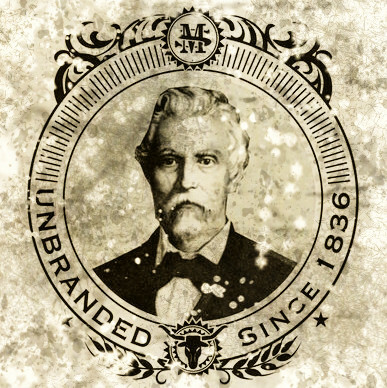 But if you want to talk about whiskeys that carry a legacy, we’ve got to talk about Samuel Maverick. Samuel Maverick has made a name (and a whole term) for himself as a Texas politician. 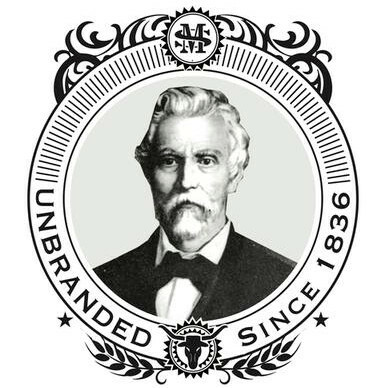 Ironically enough, he is the face of a whiskey brand and his most famous achievements came out of the refusal to brand cattle on his property. 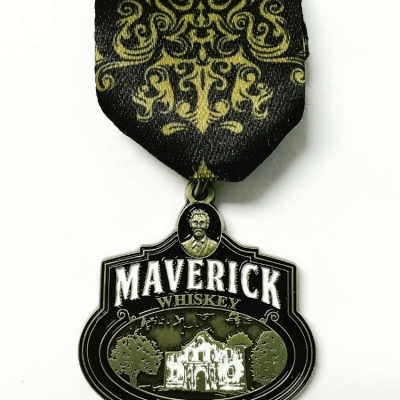 His original homestead is still owned by his descendants and serves as the distillery and event venue for Maverick whiskey today. 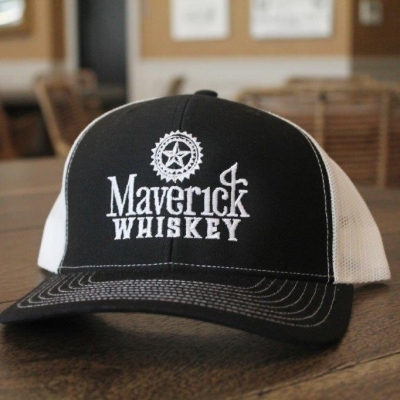 If you’re in the San Antonio area, a visit with Maverick whiskey is more than just indulging in a “celebrity”-owned brand; it’s an experience filled with Texas history.